CDC: First Test is a Success! It’s taken two days of fault finding but we succeeded! Success is a great word! 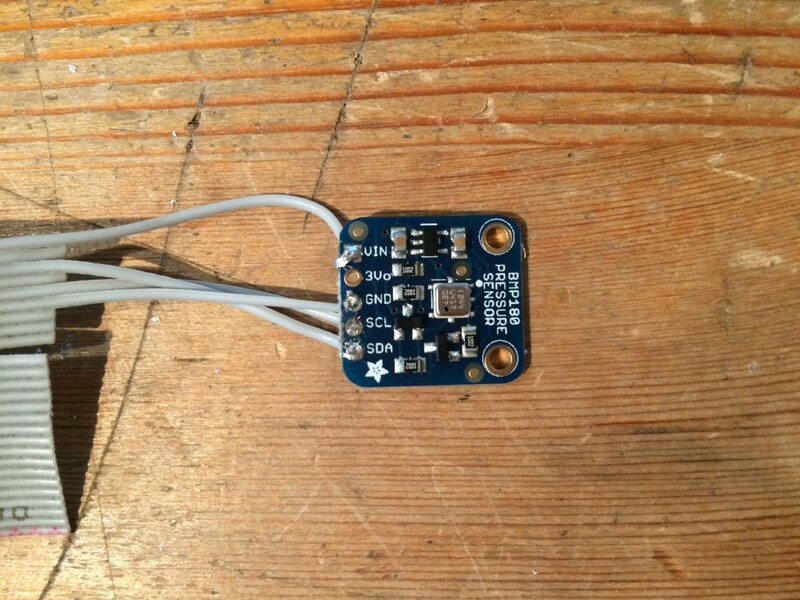 Admittedly this is only the first stage and not even the sensor I eventually hope to use. But success it is! 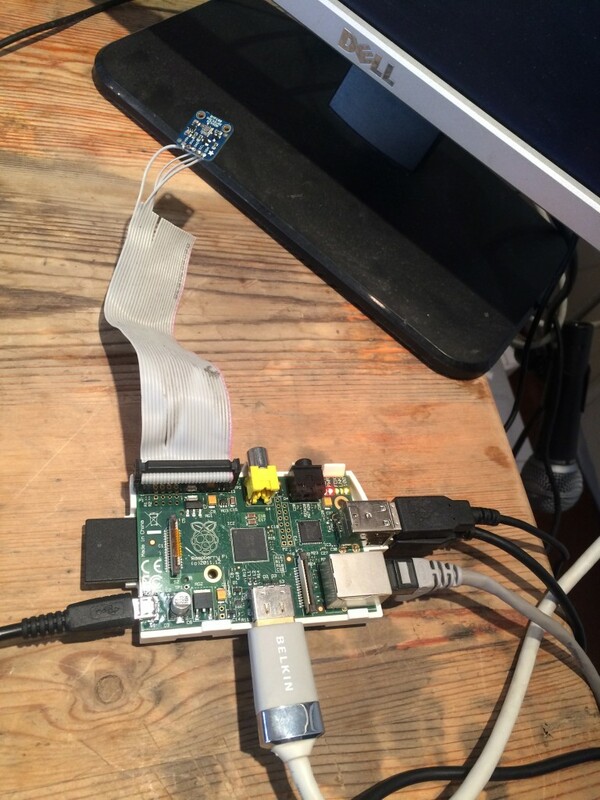 Main issue was an error using SSH with Python Version 2.7.3 which comes preinstalled on the Pi. It took a long time for this bit of code to work. I then found some other errors – but with line numbers I worked out I’d simply entered an extra digital in the AWS key. It’s hard to explain how excited I am!! This little sensor, the Bosch BMP180, measures air pressure and temperature. Purchased from Adafruit, it’s connected to the GPIO pins on the Raspberry Pi using a ribbon cable. The eagle eyed among you will notice I used the wrong side of the ribbon cable. I now know the pink coloured side of the ribbon indicates which side is pin 1! It still worked, I just had to plug the cable in the other way round. I would have had trouble putting a case back on the Pi with the ribbon cable inserted like this but that’s not an issue at the moment. Originally written by Adafruit and the brilliant Sheffield Pi Weather Station project, I edited the code below to match my credentials. 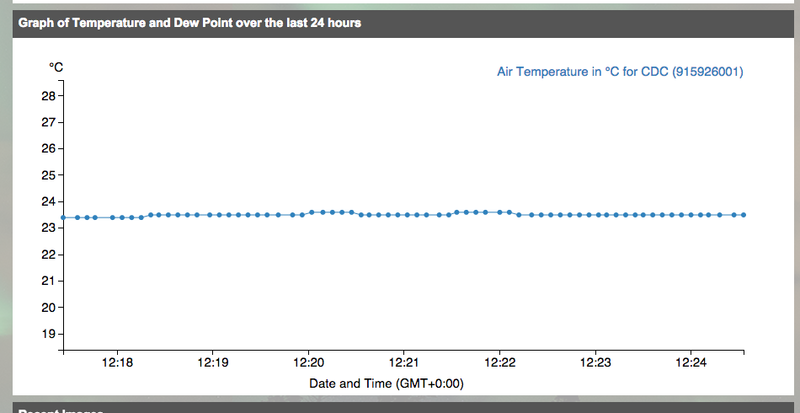 This resulted in data being broadcast from my studio to Plot.ly and the MET office. It’s an extremely elegant (and I use that word advisedly) bit of writing. #These are the imports needed to get the data from the sensor. #could go in the box though? 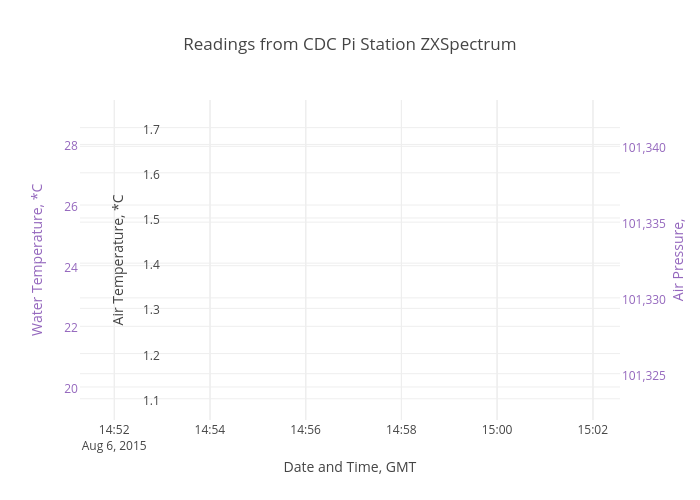 title='Weather Readings from CDC Pi Weather Station', #This title should actualy have the location in it? print "Press ctrl-C at any time to cancel the process"
print "Error connecting to WOW site. Data was not uploaded at this time." *Note to anyone who may want to use the SyntaxHighlighter plugin for WordPress so you can paste code into blogposts: I had to edit the source code of the plugin to get the vertical scrollbars to appear. Width stayed the same at 100%. Height I adjusted to 500px and ‘overflow-y’ was changed from ‘hidden’ to auto.